This spatial event is the conjunction of Venus and Saturn. “Venus” has long been called “the planet of love;” she is actually a planet of such serene beauty and uncompromising pure love that when she appears aligned with another Superior planet, they combine as a force to be reckoned with. “Saturn” is known as “the planet of Karma” and “The Great Teacher.” He is a planet whose energies assist in separating the energies of the wheat from the chaff. This truly is a magnificent GIFT in and of itself which will spread their combined energies across this world … especially on Christmas. When Saturn enters into a conjunction that is only separated by 1 Degree from Venus, this is when the Great Teacher begins to issue final homework assignments to some people and yet assists other people in climbing the spiral staircase which shows them their DESTINY. Those who are a part of the Collective Consciousness will benefit greatly by participating in this “Gift” event. Realistically define to yourselves what thoughts and inspirations you can send to other people that will inspire others’ minds to free themselves from the feelings of helplessness, hopelessness, sorrow, lack of motivation and dismay. We wish to remind each of you that when we work together for a committed goal it is a win-win situation. Here is what we are asking each of you to do. We ask that each of you listen to your hearts and your minds and find the words that resonate with what you are going to “Gift” to other people. The Luminescents then said, “Remember, every thought you have during this Gift Event is being transmitted to the minds of others through a spiraling force of telepathy.” For some reason very few people understand that sending their thoughts out to others whether they know the other people or not, IS a form of telepathy. Telepathic thoughts will connect with open-minded people; they can not connect with close-minded people. You can visualize your thoughts and send them out to combine with all the others who are participating. 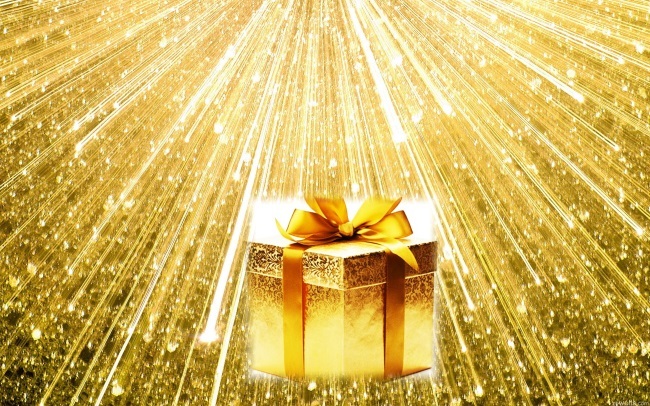 You can perform a “PUSH” movement or “The Golden Force” movement if you feel this is the best way to send out your Gifts to others. You can spend one minute, ten minutes or one hour doing this. This is completely up to you. Please connect with everyone you can and share this information with them. Use your social media, email lists and whatever other means you have of spreading the news of this event. Remember, the greatest Gift of all is happening to you. Don’t be selfish – share the Gift. Also remember you are each a conductor of telepathic energy; yet most of you do not realize this. 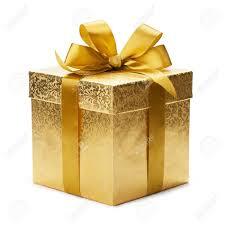 And PLEASE, do not forget to Re-Gift this to others. Here are some of the Gifts that are the heartfelt thoughts that some other “Gatherers” will be sending out across this world on December 25th 2017 at 7 p.m.
We have grown exponentially, individually and collectively, as we have shared our thoughts and ideas with each other to expand the consciousness of all of us throughout the study and practice of these books and words given to us by the Luminescents of the Universes. Once obtained the brotherhood Creates within us feelings of belonging to each other as a collective of like-minds and hearts. We feel free to be, You and Me. Go within your heart and find one thought. JOY for example. Thoughts are like a pebble being thrown into water. It Creates one circle that turns into another and yet another. Just like our thoughts one is connected to another. We are all connected through our thoughts. A joyful thought can Create a smile, a memory. A feeling of gratitude. What we think about matters. We are all connected one thought at a time. The Love and Light of God fills the air with a sparkling that is seen with my heart. As I consciously fill my lungs with this sacred, sparkling air: all that is left inside me is Peace… Love… Joy… Harmony… for All… is One. So often the words popped in my mind. Here the best interpretation/ translation. The Day is breaking in the East, The Light is shining everywhere, It comes to comfort all Earth’s Nations. It comes to reign eternally, the darkness will disappear from this centuries long night. A new day of unending days will glow with unspeakable splendor. The sun’s rays, to which the nightly darkness yields, shall triumph in Christ’s eternal Light! Already day is breaking in the East, The Light shines everywhere, It comes with Love to reign for ever and everywhere in all folks and all nations’ heart. The Gift that I am sending to all those in need is FREEDOM. Freedom from fear. Freedom from hate. Freedom from the lies long told. Freedom from the feelings of loneliness and sorrow. The gift of freedom in your heart from the knowing that you are not alone, not now, and not ever. Like the Golden Beacon of Light shining from the treasured shores of home, shining ever so brightly and calling to those long lost in the dark murky seas of fear and loathing… Love, Light, Truth and Freedom will set you free and light the way home for one and all. There is a saying that is used around Christmas time that goes like: “It is better to give than receive.” This Christmas let us change that saying to: “It is better to give AND receive.” And the Gift to give and receive is LOVE. Love is the greatest gift that a person can give to another. God has given everyone an unlimited supply of Love; you just can’t exhaust the amount of Love that exists in the Universe(s) that is available to everyone to send to another. This Christmas use your Power of Thought to send out Love to the four directions, to all people everywhere in the world. That Love will circle the world many times and be re-gifted to you. Love is the greatest Gift that can be given and received, so be a part of the Giving and Receiving this Christmas and every day beyond. Through giving and receiving Love, WE can change the world. For quite a while now I’ve been hearing a little bit of the song, “Good Morning Star Shine” and I wasn’t sure why. Now I know! Thank you Celest!! I love you guys. Mix these in Equal portions and snack on throughout the day. By the Power Of Thought they will replenish if you keep using or sharing them. We are each here as an expression of God, when we make peace within our own cells, we can embrace our other selves around us and unite as ONE. This is Self Empowerment. Thank you for taking your power back. My gift is for everyone to let their Light shine. When babies smile, giggle and laugh, they are letting their Light shine as they exude a love to everyone around them. Let us all once again become like children and let our Light shine as we freely send our love to everyone both near and far. And, may the love we send be re-gifted back to each of us and out to all of humanity. I wish to Gift a new world, one where all people recognize each other for their Divine selves. Where we hold all people dear and worthy. Where we strive for justice, peace and equality. Where all people are cared for and all needs are met. A world in which all people and animals communicate and work together with good intent. A world in which all people hold the Earth Star planet in sacred love and respect. All people Create beauty and love from the heart. Love is our guiding principle and our relationship with God, Jesus The Christ and all the Illuminaries (Luminescents) is as normal as breathing. This is the Gift I wish upon humanity. You have never been alone and you never will be. You have always been loved and you always will be. Because we all are ONE and because we all are God, there is nothing that we all cannot overcome. So cast out your fears and dry your tears. Let’s all work together through love to get God’s good works done. We are infinitely grateful, overflowing abundance, eternal compassion, freely forgiving, ever-expanding joy and love. ONE. Know that you are a gift. So love yourself and trust in God. Don’t rush, just go with the flow while enjoying the present moment. Be still while living gratefully. Bring God’s Golden Light to you and let the energy lead the way to your Soul’s journey. Through all the heartaches, tough and hardest times that you have endured and or maybe going through right now, know that it shall pass. You are never alone in facing anything. You are given love, guidance, and protection each and every day. Ask for help and it shall come. Have kindness and compassion for all living Beings as you would want for yourself because we are all ONE. Let kindness prevail! It lifts up the hearts of the giver and receiver. May influence the receiver to be more joyful, peaceful and more positive. It is a win-win situation for giver and receiver. I will be there in mind and Spirit. (Note: Steve is the author of “Stone Triangle.” Information about his book is located in our “Recommended Reading” section on the Awakenedhearts website. On Christmas Day, December 25, 2017 at 7pm your local time, good people are joining together in offering the Gift of the Power of Thought. United heart to heart, we will think of what it is we wish to see as our future with Earth. By joining together, what we vision as a group is what we get, what WE manifest. You may have heard “Mind is the builder”. Majority does rule, for by uniting in positive thought, we become the majority group in Creating our reality. This is our gift to each other and Earth Mother. Begin to think today of what you wish to see and work with stating this as positively as possible. Maybe you wish an end to war. This can be stated as seeing all people working together in peace, harmony and cooperation. Maybe you wish clean water. See the water as clean, clear, sparkling, free flowing, thirst quenching water. Maybe you wish an end to homelessness. See all people living in beautiful, climate appropriate, comfortable, pleasant, well maintained housing. Whatever you wish, state it in a positive manner. Feel free to add whatever you desire to see. Join with all on planet Earth, and all of Creation who are helping Earth at this time, at 7pm local time, on Christmas Day evening. If you cannot physically join in at that time, set your intention to join in at 7pm, for third dimensional time is an illusion. For more information, feel free to contact me and/or see www.awakenedhearts.com. May you and yours have a blessed and Merry Christmas, the birthday of the one who showed us how to walk in Love. What we experience is based on our frequency, literally. If your TV is tuned to a news channel, you see and hear news. When we tune ourselves to the higher frequencies of love and joy, then loving and joyous experiences come into our lives. These high frequencies that more and more of us are emanating are helping raise Earth’s frequency, ultimately to the frequency where Heaven-on-Earth exists. To go along for this ride of all lifetimes, ALL we need to do is be loving and joyful. We ALL can do that, because we are ALL ONE. Rejoice! For anyone who is stagnant in a cloud of negativity, darkness, unsureness or unfaithfulness, or who just need a reminder, remember God’s Golden White Light is always with you, and it’s power is your command. In times of duress or lack of motivation, call the white light to you. It is your compass, your all-seeing eye, and most importantly it is your guide. It is abundant as it is infinite, so don’t hesitate to surround yourself in a shield of golden luminescence…. JJ. An aspect of the Gift I am sending out to everyone, to every life-form, to this world herself is to infuse all the waters of this planet with The Light of ALL Lights, The Jesus The Christ Consiousness, and in so doing I will be asking everyone to assist in this process. In doing so all the water in and on this planet will be infused, this means every molecule, whether it be in the sky, the waterways or with the human body, all life-forms bodies. This also includes any thing that has any water particles within it. In so doing we will infuse the Light into all aspects of this world and we will show all the other Universes that we are still Standing!